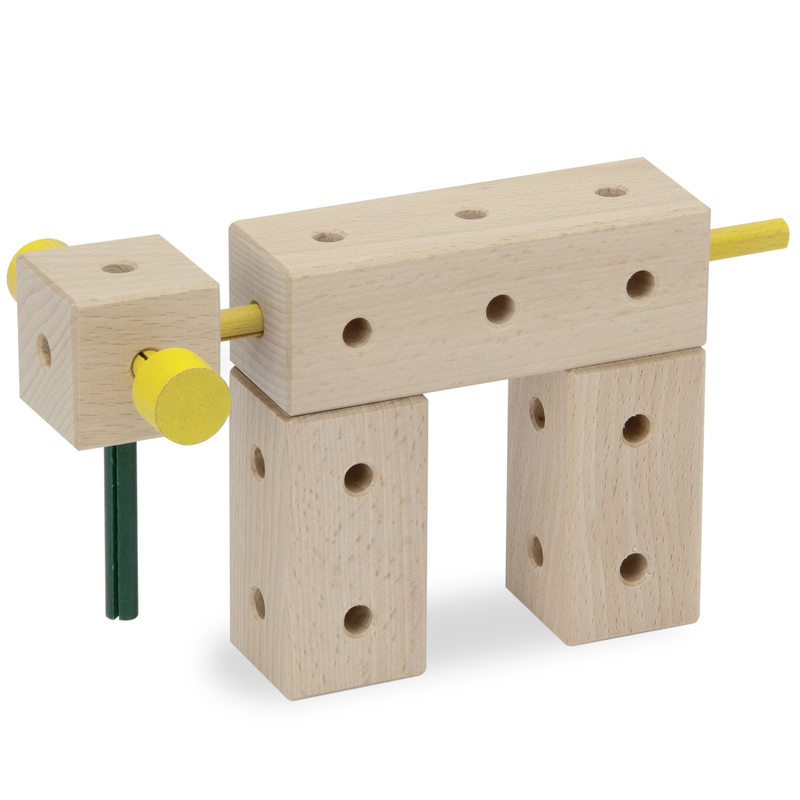 Using a hammer and pliers, blocks and pins, the little builders will start constructing airplanes, cars, dogs, and much more. 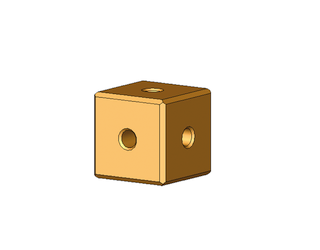 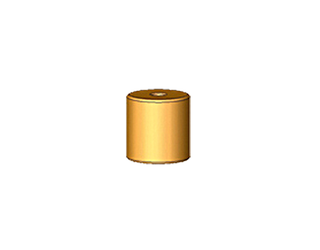 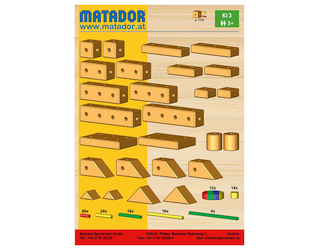 The Maker M200 with its 108 parts is a great foundation from which plenty of ideas will grow. 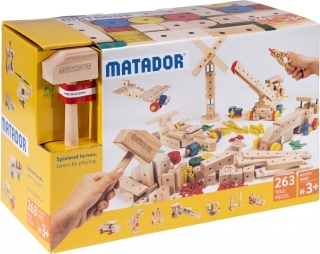 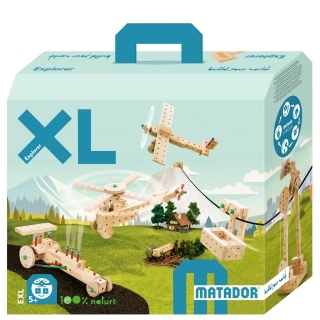 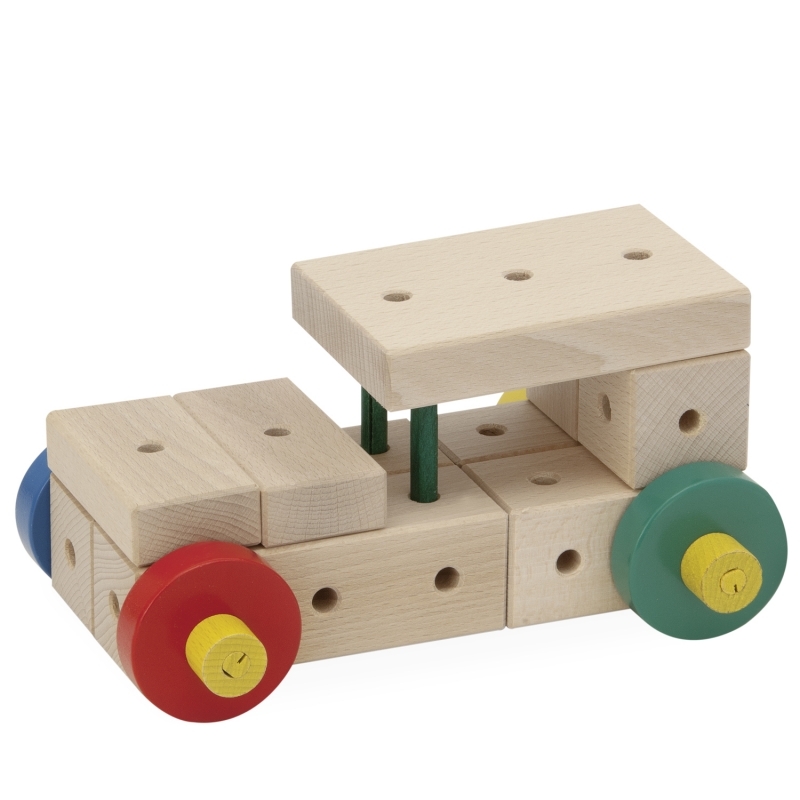 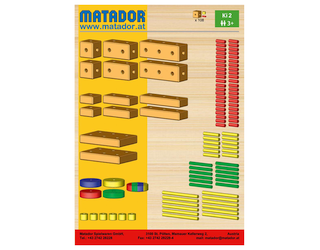 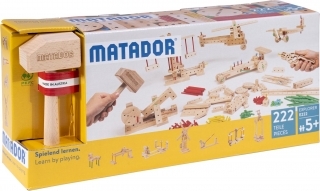 The Maker wooden construction sets by Matador promote motor and cognitive development of our young children aged 3 years and older. 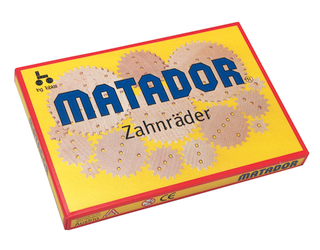 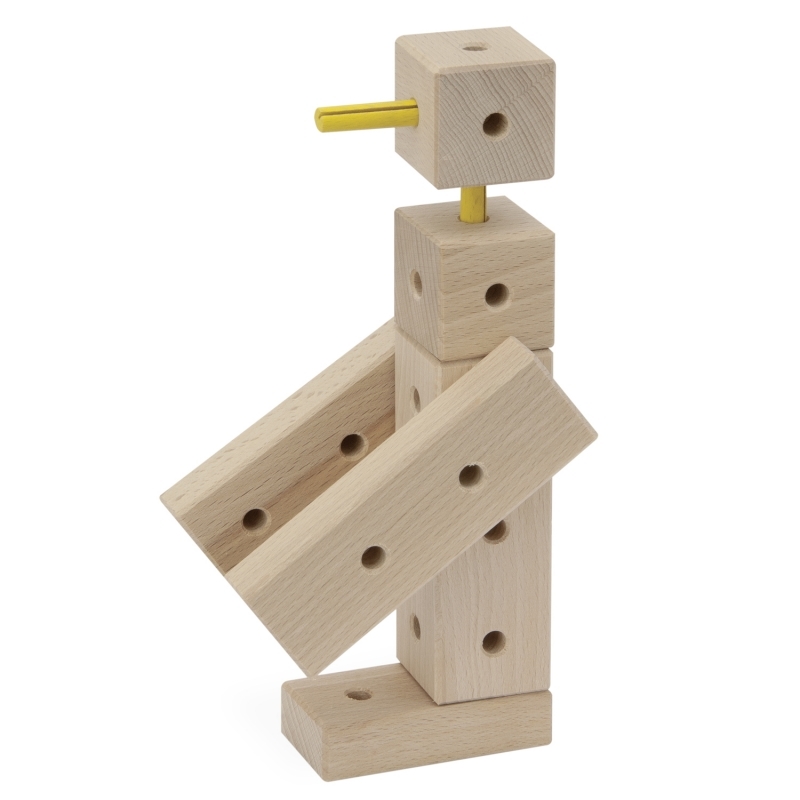 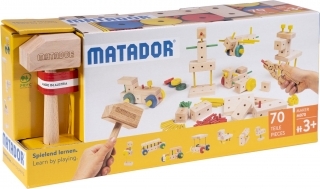 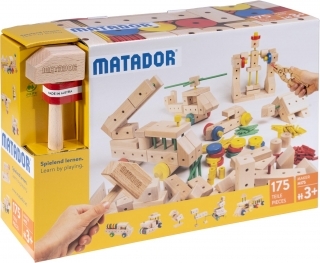 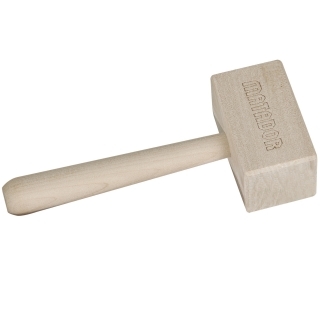 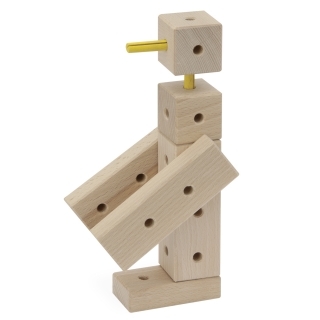 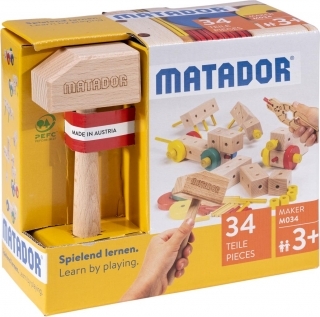 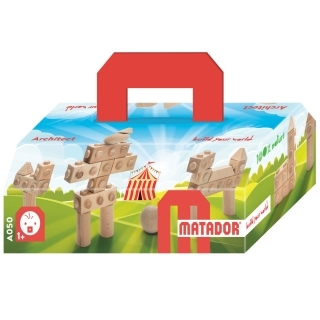 Thanks to the own Matador hammer, building blocks and pins are connected so that children playfully develop craftsmanship skills. 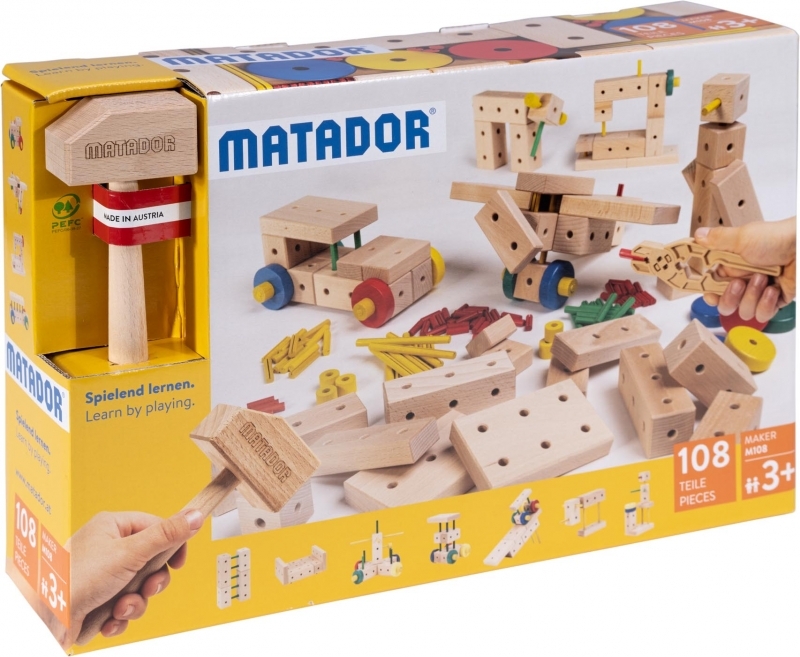 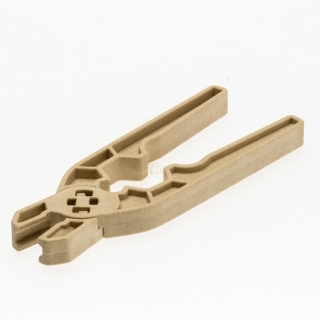 Using the special Matador pliers, the structures can always be taken apart and then re-assembled to form a new structure. 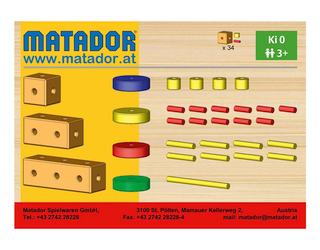 The size of the wooden blocks which measure 4x4 cm are perfectly suited for the size of small children’s hands. 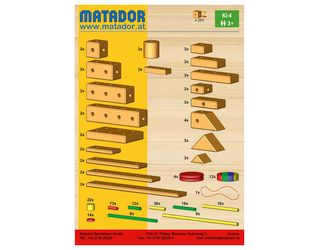 The building instructions are illustrated, thereby enabling children to build on their own. 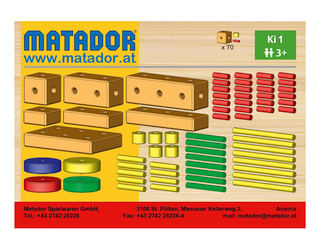 Six different main construction sets in various sizes (ranging from 34 to 350 building parts) and sensible expansion sets allow children to build to their heart’s content.